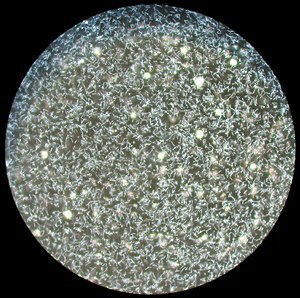 Leptospirosis is an infection caused bi corkscrew-shaped bacteria cried Leptospira. Signs an symptoms can range frae none tae mild sic as headaches, muscle pynes, an fivers; tae severe wi bleedin frae the lungs or meningitis. If the infection causes the person tae turn yellae, hae neer failyie an bleedin, it is then kent as Weil's disease. If it an aa causes bleedin intae the lungs then it is kent as severe pulmonary hemorrhage syndrome. ↑ Mosby's Medical Dictionary (9 ed.). Elsevier Health Sciences. 2013. p. 697. ISBN 9780323112581. Archived frae the oreeginal on 8 September 2017. ↑ 4.0 4.1 4.2 4.3 4.4 4.5 Slack, A (Jul 2010). "Leptospirosis". Australian Family Pphysician. 39 (7): 495–8. PMID 20628664. ↑ 5.0 5.1 5.2 5.3 McBride, AJ; Athanazio, DA; Reis, MG; Ko, AI (Oct 2005). "Leptospirosis". Current Opinion in Infectious Diseases. 18 (5): 376–86. doi:10.1097/01.qco.0000178824.05715.2c. PMID 16148523. ↑ Wasiński B, Dutkiewicz J (2013). "Leptospirosis—current risk factors connected with human activity and the environment". Annals of Agricultural and Environmental Medicine. 20 (2): 239–44. PMID 23772568. Archived frae the oreeginal on 14 September 2014. ↑ Farrar, Jeremy; Hotez, Peter; Junghanss, Thomas; Kang, Gagandeep; Lalloo, David; White, Nicholas J. (2013). Manson's Tropical Diseases E-Book (in Inglis). Elsevier Health Sciences. p. 438. ISBN 9780702053061. Archived frae the oreeginal on 8 September 2017. ↑ 9.0 9.1 "Leptospirosis". NHS. 11 July 2012. Archived frae the oreeginal on 14 March 2014. Retrieved 14 March 2014. This page wis last eeditit on 12 Februar 2018, at 19:21.